Baton Rouge, LA – March 28, 2013 – Lamar Advertising Company (Nasdaq: LAMR) is teaming up with Baton Rouge-based nonprofit organizations City Citrus, BR Walls and the Louisiana International Film Festival & Mentorship Program. The respective organizations are dedicated to bringing environmental, art and film initiatives to Louisiana. Lamar Advertising Company is providing support to help these organizations succeed as part of its commitment to playing a role in making our communities a better place to live. 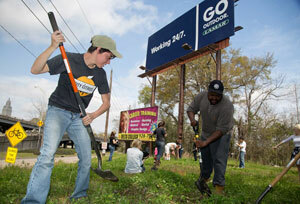 With Lamar Advertising Company’s help, these three organizations are kicking off projects in the Baton Rouge area in March-April 2013. City Citrus is a collaborative consumption project between Lamar Advertising Company, Baton Rouge Green and Slow Food Baton Rouge. City Citrus’ mission is to support the planting of fruit trees that will be maintained and harvested by the community for the health of our citizens and the beautification of our city. Lamar Advertising Company came up with the original idea for City Citrus and provided funding for the initial pilot program. City Citrus kicked off the project on March 17 and planted Satsuma trees at three of Lamar’s billboard locations (N. 10th Street/Main Street, St. Ferdinand Street/South Boulevard, and Highland Road/Mickinley Avenue) in Baton Rouge. 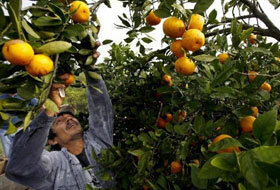 The fruit from the Satsuma trees will be free to the public. Additional sites are being considered for the project. Individual volunteers and organizations who want to get involved can contact City Citrus through their website citycitrus.com or facebook.com/citycitrus. The BR Walls Project is a nonprofit organization dedicated to expanding the visual arts scene of Baton Rouge by creating an ‘outdoor art gallery’ downtown. Lamar Advertising Company is the primary sponsor for Phase II (mural installations) of the BR Walls Project, which differs from Phase I in that the artwork is temporarily installed to the building surfaces rather than hand painted. Lamar juried the work with BR Walls, selected six artists for Phase II and digitally reproduced their artwork to be installed on buildings in Downtown Baton Rouge. 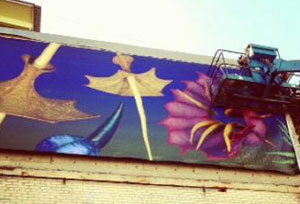 Artist Anne Boudreau created the original work for the first installation on March 6. Boudreau’s mural was reproduced on vinyl and installed with the help of Mapp Construction to the back of the Boudreaux & Thibodeaux’s building on Third Street. The second installation was an abstract collage from artist Maggie Kleinpeter that was posted on March 18. 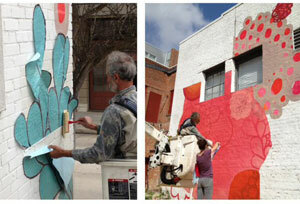 Kleinpeter’s work was printed on paper and installed using wheat paste on multiple buildings on Main Street across from the Farmer’s Market. Four additional installations are scheduled in Downtown Baton Rouge, and the vinyl murals will be repurposed following the project. For news/updates, please visit brwallsproject.com or facebook.com/brwallsproject. The Louisiana International Film Festival & Mentorship Program (LIFF) aims to act as a conduit for education and outreach where the residents of Louisiana may obtain skills and relationships that enable them to play a central role in the State’s burgeoning film industry. Created as a nexus for local talent, LIFF provides access to opportunity through carefully developed mentorship programs, workshops, guest lectures, and competitive screenings. 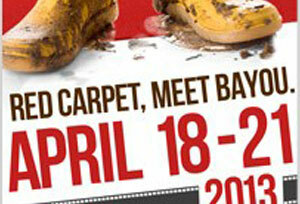 Lamar Advertising Company provided funding for the festival’s signature event, its inaugural launch April 18 - 21, 2013 in New Orleans and Baton Rouge, Louisiana. Lamar is also donating advertising space on digital billboards in Los Angeles, Baton Rouge, New Orleans, Hammond and Monroe, LA, as well as surrounding areas in Texas and Mississippi to generate awareness about the Film Festival. To purchase an All Access Pass for the Louisiana International Film Festival or to learn more, visit liff2013.com. Lamar Advertising Company is the nation’s leading out-of-home advertising firm. Lamar offers solutions for clients in the form of bulletins, posters, digital billboards, buses, benches, transit shelters and highway logo signs. Founded in 1902, Baton Rouge-based Lamar has a broad corporate reach with over 200 media companies across the United States, Canada and Puerto Rico specializing in outdoor and transit advertising. In addition, Lamar has 22 media companies devoted to the highway logo sign business. This network provides clients with local market insight, as well as the services provided by a firm on a national scale. Lamar Advertising sent three of its team members to the school to counsel eight students whose designs have been chosen as finalists in a contest sponsored by the Pennsylvania Liquor Control Board. The four winning designs will be featured on Lamar billboards in the area during late April and May. Sessions with each student lasted about 15 minutes.